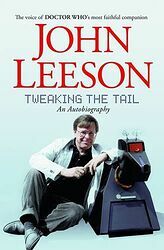 Note: The autobiography of John Leeson, best known of course for providing the voice of K-9. Also available as an audio reading. After 31 years playing Doctor Who's long-serving robot dog K9, and as the original embodiment of Bungle Bear on "Rainbow", John Leeson is known yet unseen, to millions. Now you can get to know the man behind two of classic TV's most enduring characters. 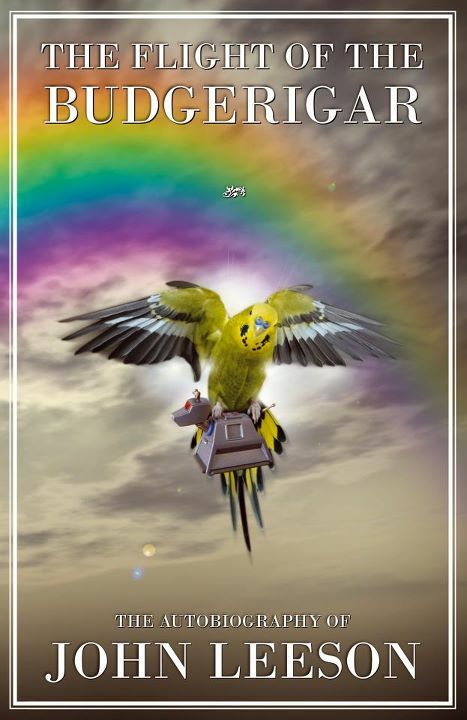 The Flight of the Budgerigar traces his life, from childhood in a ghost-ridden vicarage, into his multi-faceted career, including his famous role as the voice of K9 — a role he began in 1977 and still continues today. John's life is a rich tapestry of interests, jobs and anecdotes — from lecturing on wine on the high seas and in the world's top vineyards to being an undercover prankster with Jeremy Beadle. This fascinating story includes behind-the-scenes insights on TV commercials, West End theatre productions, and of course, life as two iconic children's TV characters — K9 and Bungle Bear. This book is a candid and touching account of a unique life. Note: Expanded & revised edition, retitled Tweaking The Tail. First made available at a signing on 27 July — the "official" release date from the publisher was 28 August. Not every RADA-trained actor with aspirations to the classical stage expects to find himself an international sci-fi icon in Doctor Who at the end of the day. Again, not every actor expects to find fulfilment in a parallel profession as an accredited wine educator alongside his work in the theatre, film and TV... and yet again, not every actor expects to find himself appointed to a completely different 'theatre' — the Magistrates' Courts — sitting in judgement on the right side of the law! Nobody could be more surprised, perhaps, at the curious turns of fortune that have been dealt to the author revealed in this engaging, often hilarious picture of his life other than the author himself! This, then, is your invitation to share a kaleidoscope of recollections: the surprise, the triumphs, trials and tribulations of professional work across half a century, including repertory and 'fringe' theatre work, West End appearances, British TV sitcoms including Dad's Army, voiceover work, question setting for Mastermind, TV commercials at home and abroad... let alone his insights into the worlds both of wine and of public service as a magistrate. A passionate cook, too, he's even found the time to write this book! Clearly, he needs to slow down!